Help Give Homeless Pet Mothers a Second Chance! In honor of Mother’s Day, we’re celebrating all the dog and cat moms that protect & love their puppies and kittens–even when homeless & against all odds. 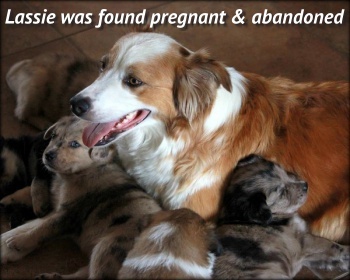 All About Animals Rescue has an amazing “maternity ward” program that cares for mama dogs and cats that wouldn’t otherwise survive in a typical shelter. They care for them until they’re healthy and strong…and then find them loving, forever homes. Please help give homeless mothers a chance! Just $5 helps feed & care for these amazing moms!